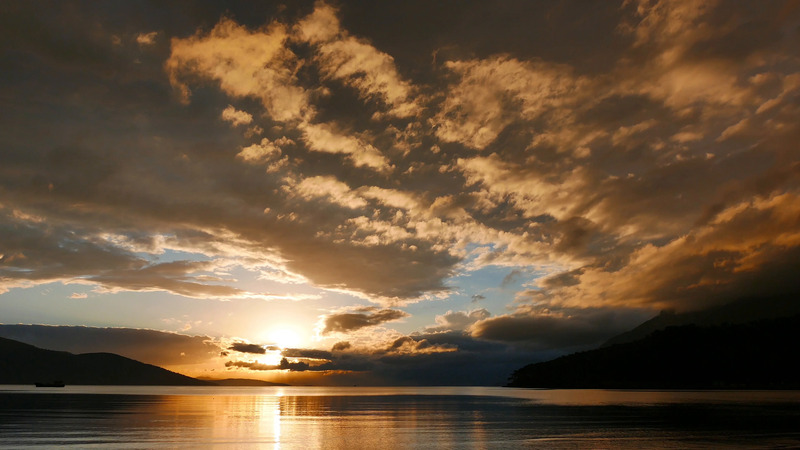 Description: A cloudy, naturally sepia colored sunset video facing the entrance of Gulf of Gokova (Aegean Sea). Fast moving cumulus clouds give depth to the sky. Shot from Akyaka beach in autumn.